Easy to say but hard to do - to bring the attitude while travelling to back to our life. The exceptional courage of looking the way to your hostel while no data on phone (to “Google map”), the excitement of first-time visiting the highly-rated restaurant/ coffee shops, the moment seeing the beautiful scenery that you’ve only dreamt of… everything is fresh and appealing. But how about when we get bored in hometown? Luckily we got a lot of different spots in Hong Kong despite the busy city centre. Islands, country parks, beaches… all around our city. Today, I want to introduce a new coffee shop I’ve found in Sai Kung - “the beautiful backyard garden of Hong Kong”. A big window with abundant sunlight, Little Cove Espresso has just moved in to this location from their original store earlier last month. 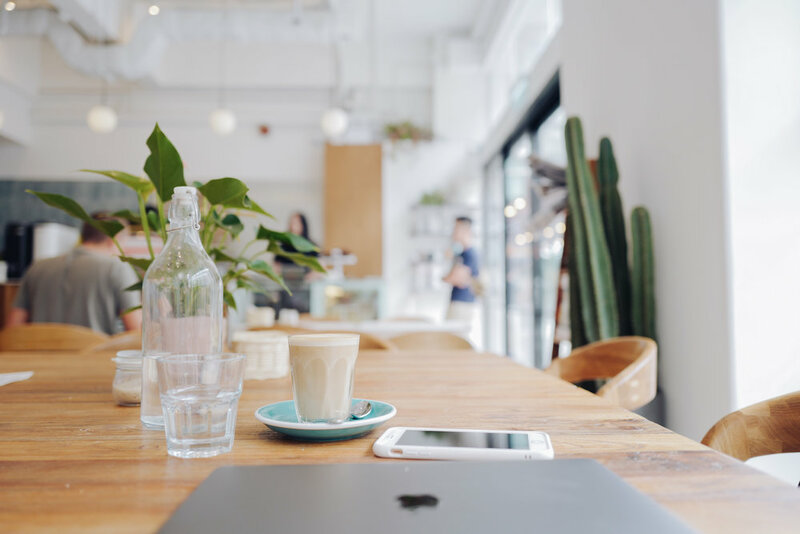 “A laneway cafe taking care of the good people of Sai Kung and those passing by, one cup at a time.” This neighbourhood cafe has an Aussie atmosphere - bright, high ceiling and comfy seats. Not to mention they have a selection of Vegan/Vegetarian friendly dishes on the menu! Range from breakfast (Smoothie bowl, Toasties), lunch (Salad Bowl, Pasta, Open-side Sandwiches) to dessert (Raw Chocolate Pistachio Slice). Meanwhile they also provide Soy/Almond/Oat milk as dairy alternatives without adding any charges! Their coffee? Yes, very good indeed! (Vegan) Quinoa Bowl, with rockets, avocado, cucumber, roasted chickpeas, roasted peppers, beetroot hummus and Lemon. Oat Milk Latte. (Meat) Chicken & Dukkah on Sourdough with Smashed Avocado, Rocket & Feta. No make-up, put on my favourite white t-shirt and jeans, bring along my laptop… A little and simple satisfying “Working-Holiday”. What about you? What is your favourite kind of relaxing holiday?